The Sepak Takraw Association of Canada endorses the Sask Sport Inc. Dispute Resolution Policy Template, as the process allows a person to a fair hearing before he/she may be disciplined by a corporation. This Policy Template provides a guide to suitable bylaws for discipline procedure. The Sepak Takraw Association of Canada has adopted the template and the following documentation outlines our Dispute Resolution Policy as it pertains to the Sepak Takraw Association of Canada. Two bodies will be appointed to resolve disputes, whether arising from allegations of harassment or other misconduct, team selection, doping, hazing, coach-athlete abuse, employment or other issues. 1.1.1. The Investigation Committee is established consisting of a chairperson and such other persons as the chairperson may appoint. 1.1.2. The board shall appoint the chairperson of the investigation committee. 1.1.3. The chairperson may appoint members to the committee from time to time for the purpose of that appointee serving as investigator of a specific complaint. 1.1.4. Members of the hearing committee and members of the board are not eligible to be a member of the investigation committee. 1.2.1. The President of the Sepak Takraw Association of Canada, upon receipt of a report from the Investigation Committee which recommends that a hearing be conducted, shall appoint a Hearing Committee consisting of one or three persons. 1.2.2. Members of the Investigation Committee and members of the Board of Directors are not eligible to be appointed as a member of the Hearing Committee. 1.2.3. If the President considers it appropriate to do so, the President shall appoint to the Hearing Committee a person nominated by each party to the dispute. 2.1.1. It is contrary to the best interests of the Sepak Takraw Association of Canada or of any participant (player, coach, manager, official or spectator). 2.1.2. It is contrary to the bylaws of the Sepak Takraw Association of Canada. 2.1.3. It is contrary to any Code of Conduct established by the Sepak Takraw Association of Canada. 2.1.4. It is a failure to comply with an order pursuant to this dispute resolution policy by the President, the Board of Directors or a Hearing Committee. 2.1.5. Examples of (including but not limited to) Minor and Major Infractions are given in Appendix 1 below. 3.1. Incidents and Complaints must be made to the President promptly and within the time guidelines set by policy of the Board of Directors, and it is best that the complainant fill out the Incident/Complaint Form (Appendix 2 below). 3.2. The President may extend the time for submission of a complaint notwithstanding the expiration of the time set by Board guidelines. 3.3.1. A complaint alleging that a player, team, coach, manager, official, parent/guardian or spectator is guilty of misconduct. 3.3.2. On the request of the Board, any incident in which misconduct may have occurred. 3.3.3. A complaint relating to team selection. 3.3.4. Any other request for resolution of a dispute arising from or relating to the activities of the organization. 3.4. The chairperson of the Investigation Committee may require that a complaint be stated in writing. 3.5. If the Chairperson of the Investigation Committee is satisfied that the complaint is not valid or does not raise an issue of misconduct or is trivial, frivolous or vexatious in nature, the chairperson shall advise the complainant and thereafter shall take no further action in relation to that complaint. 3.6. Where the chairperson has not dismissed a complaint pursuant to 3.5, the chairperson shall appoint one or more members of the Investigation Committee as ‘Investigator’ of the complaint or incident. 3.7. The Chairperson may appoint himself or herself as the Investigator or as one of the Investigators. 4.1.1. Review the complaint or the request. 4.1.2.3 communicating with or interviewing other persons who may have relevant information. 4.1.3. Extend the investigation to include misconduct in any other incident that comes to the attention of the investigator in the course of the investigation. 4.1.4. When practical to do so, encourage the parties to resolve the dispute directly. 4.1.5. With the agreement of the parties, arrange mediation of the dispute. 4.2.2.2 no further action is warranted, based on the facts of the case. 4.3. The charge set out in a written report may relate to any matter disclosed during the investigation. 4.4. A report signed by a majority of the Investigation Committee is a decision of Investigators. 5.1.2. be allowed to continue participation subject to conditions or restrictions. 5.2.1. If satisfied that continued participation is inappropriate in the circumstances, may order suspension of involvement in organization activities or impose other less restrictive conditions pending the recommendations of the Hearing Committee. 5.2.2. If satisfied that continued participation is appropriate in the circumstances, decline the recommendation of the investigator. 5.3.1. terminate 30 days after the date of the suspension or imposition of conditions, unless renewed or revised by the President upon a further written recommendation by the Investigator. 5.3.2. be superseded by the recommendations of the Hearing Committee. 6.1.2. who initiated the complaint. 6.2. If the Investigation Committee is of the opinion that a Hearing Committee should be appointed, the President shall appoint a Hearing Committee. 6.3. The President shall report a decision not to appoint a Hearing Committee to the next meeting of the Board. 7.1. The Hearing Committee shall conduct a fair hearing of the charge or dispute reported in the Investigation Committee’s Report. 7.2. At the request of the Hearing Committee, the President shall communicate the time and place of the hearing and any other pertinent information to the parties. 8.2.1.3 provided with a copy of the Dispute Resolution Policy. 8.2.2. The Hearing Committee shall hear the charge or dispute and shall determine whether or not the accused is guilty of misconduct or rule on the issues in dispute. 8.2.3. Parties may be represented by legal counsel at their own expense. 8.2.4.2 to present evidence in defense and reply. 8.2.5. Where a party fails to attend the hearing, the Hearing Committee may proceed in his or her absence. 8.2.6. If, during the course of a hearing, the evidence shows that the accused may be guilty of misconduct different from or in addition to any misconduct specified in the charge, the Hearing Committee shall adjourn the hearing for any period that the Committee considers sufficient to give the accused an opportunity to prepare a defense to the amended charge, unless the respondent consents to continue the hearing. 8.2.7. The Hearing Committee may accept any evidence that it considers appropriate and is not bound by Rules of Law concerning evidence. 8.2.8. The Hearing Committee may accept a record of a criminal conviction or the written reasons for a decision imposing discipline by any other organization as evidence of the conduct giving rise to the conviction or discipline. 8.2.9. On its own initiative or at the request of any party, the Hearing Committee may restrict the public from the hearing. The Hearing Committee shall exclude the public if the committee is of the opinion that an open hearing will unduly violate the privacy of any person. 8.2.10. The deliberations of the Hearing Committee shall be conducted in private, and no person who is not a member of the Committee shall be present. 8.3. The Hearing Committee shall give written reasons for its decisions and for any discipline imposed. Copies shall be provided to the parties and to the Board. 9.1.6. Any other order that the hearing committee considers just. 9.2.3.2 the character of the respondent. 10.1. Where the President, Chairperson of the Investigation Committee or the Chairperson of the Hearing Committee believes that the person(s) whose conduct is being investigated may be guilty of a criminal offence, that person may refer the matter to an appropriate authority. 11.1. The investigation, hearing and decision of the Hearing Committee shall be completed as soon as practical in the circumstances of the complaint. 11.2. The Board may set time guidelines for any matters that the Board considers appropriate, including the time for complaints to be made to the President, and the time for completion of steps in the hearing process. 11.3. In deciding an appeal from a decision of the Hearing Committee, the Board may consider the failure to comply with time guidelines. 12.1.3. The person(s) who initiated the complaint was advised that no further action would be taken. 12.2. The written notice shall state the grounds of appeal. 12.3. The President shall not participate in the hearing of an appeal. 12.4.2. If there is any reasonable basis on which it may appear that the Board Member may have a conflict of interest or may be biased. 12.5. The participation by a Board Member in any step of the investigation or hearing process prior to the hearing of the appeal shall be deemed to create the appearance of a bias. 12.6. If all Board Members are unable to participate in the hearing, the Board shall appoint a Committee of not more than three persons to hear the appeal. 12.7.5. vary the order of the Hearing Committee. 13.1. When a person(s) is expelled or suspended from the organization pursuant to the policy, that person(s) is not eligible to serve any function within the organization or attend any organization activities. 14.1. A person who has been expelled may apply to the Sepak Takraw Association of Canada Board for reinstatement. 14.2. Subject to the Bylaws, on receipt of an application of reinstatement the Board of Directors shall review the application and, if in the opinion of the Board the application disclosed information which may justify reinstatement, the Board may investigate the application by taking any steps it considers necessary. 14.3.1. where it is satisfied that the person’s subsequent conduct and any other facts warrant reinstatement, direct that the person be reinstated under any terms and conditions that it considers appropriate. 14.3.2. refuse to reinstate the person. 15.1. In the event that any member of either the Investigation Committee or the Hearing Committee, other than one nominated by the parties, has a conflict of interest or is biased, that person shall declare the conflict or bias and the President shall appoint a replacement. 15.2. In the event of a conflict of interest on the part of a Board Member, that member shall not participate in the decision of the Board. 16.1. 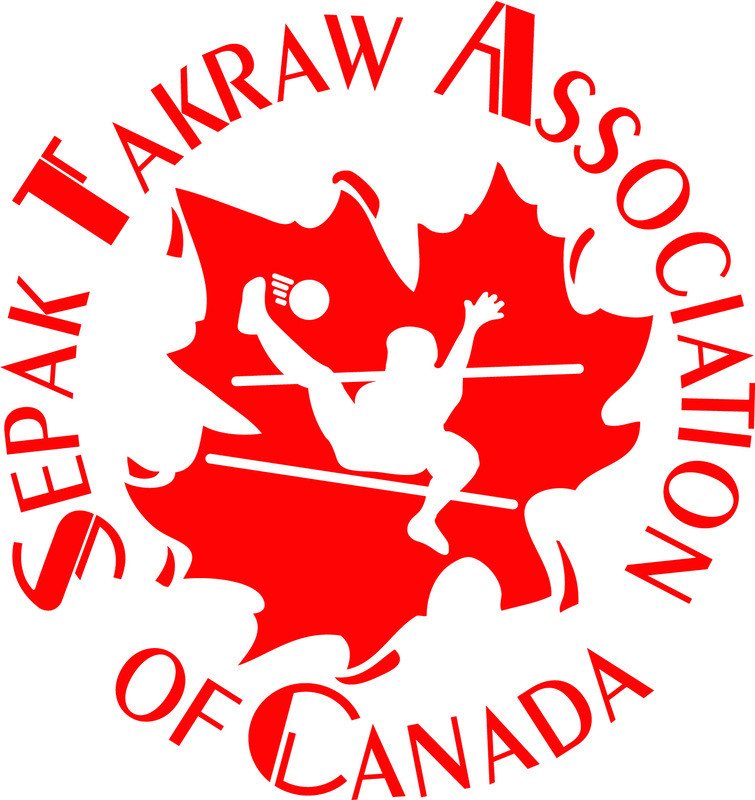 The Sepak Takraw Association of Canada shall maintain a record of all decisions of Hearing Committees and of all decisions of the Board on appeal. 16.2. The Hearing Committee and Board may consider the decisions of previous Hearing Committees and Boards, but are not bound by the precedent. 16.3. Decisions of a Hearing Committee and decisions of the Board on appeal are matters of public interest and shall be publicly available without disclosing the names of the individuals involved. Names of persons disciplined may be disclosed to the extent necessary to give effect to any sanction imposed. 16.4. If the Committee or Board decides that making the decision publicly available will unduly violate the privacy of any person, the Committee or Board may direct that the decision or part of the decision should be kept confidential. 16.5. Decisions resulting in termination of membership or in a suspension of membership rights for one year or longer shall be reported to the Dispute Management Office of Sport Canada who may provide information from the decisions to its membership, including the names of persons who have been the subject of the discipline. A single incident of disrespectful, offensive, abusive, racist or sexist comments or behavior directed towards others, including but not limited to peers, opponents, coaches, managers, officials, administrators, spectators and sponsors. A single incident of being late for, or absent from, Sepak Takraw Association of Canada events and activities at which attendance is expected or required. Non-compliance with the rules and regulations under which Sepak Takraw matches are conducted, whether at the local, provincial, national or international level. Repeated incidents of disrespectful, offensive, abusive, racist or sexist comments or behavior directed towards others, including but not limited to peers, opponents, coaches, managers, officials, administrators, spectators and sponsors. Repeated incidents of being late for or absent from Sepak Takraw Association of Canada events and activities at which attendance is expected or required. Activities or behavior which interferes with a competition or with any athlete’s preparation for a competition, or which endanger the safety of others. Deliberate disregard for the rules and regulations under which Sepak Takraw matches are conducted, whether at the local, provincial, national or international level. Deliberate disregard for commitment(s), promise(s) and/or contract(s) made in writing, including email correspondence or otherwise, to the Sepak Takraw Association of Canada or any other affiliated association(s). Abusive use of alcohol where abuse means a level or consumption which impairs the individual’s ability to speak, walk or drive; causes the individual to behave in a disruptive manner; or interferes with the individual’s ability to perform effectively. Any use of alcohol by minors. Use of illicit drugs and narcotics. Use of banned, performance enhancing drugs or methods*. * The Sepak Takraw Association of Canada (STAC) adheres to the Canadian Policy of Penalties for Doping in Sport, endorsed by the Canadian Centre for Drug-Free Sport and Heritage Canada/Sport Canada.